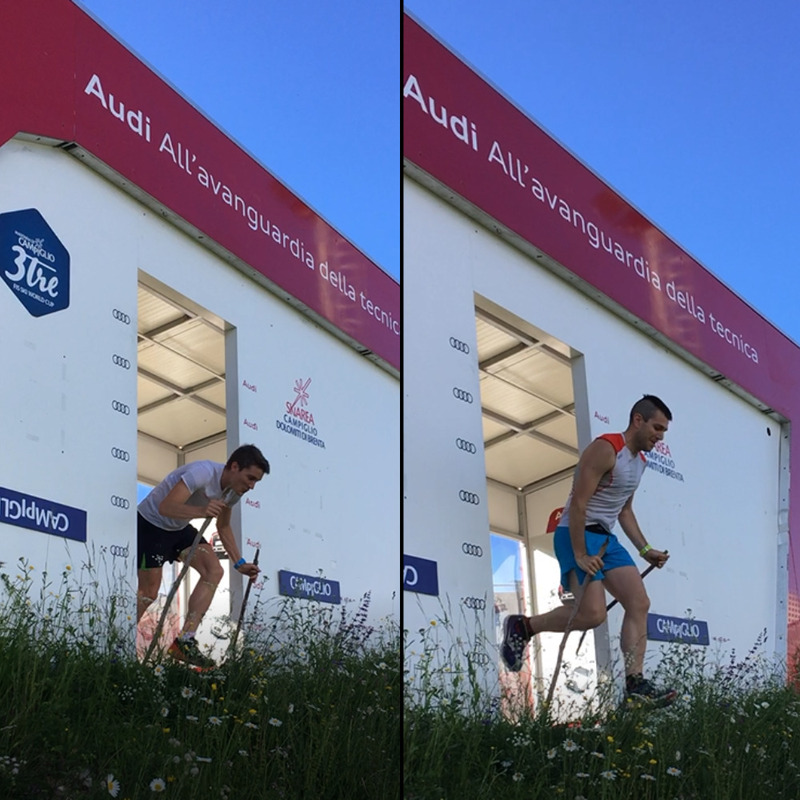 Lately I have been asked more about the race I run last weekend in Italy so I decided to write some comment and report of the race. 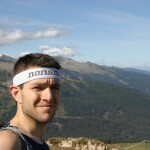 Last December I decided to enter to the Cortina Trail on the end of June, not any specific reason to do so. 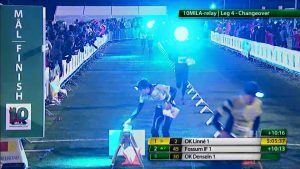 The race looked cool and I though it be a good challenge. So during the winter preparation searched for a similar race some time before the Cortina Trail in order to test myself on such distance and get some feedbacks on what and how to improve. 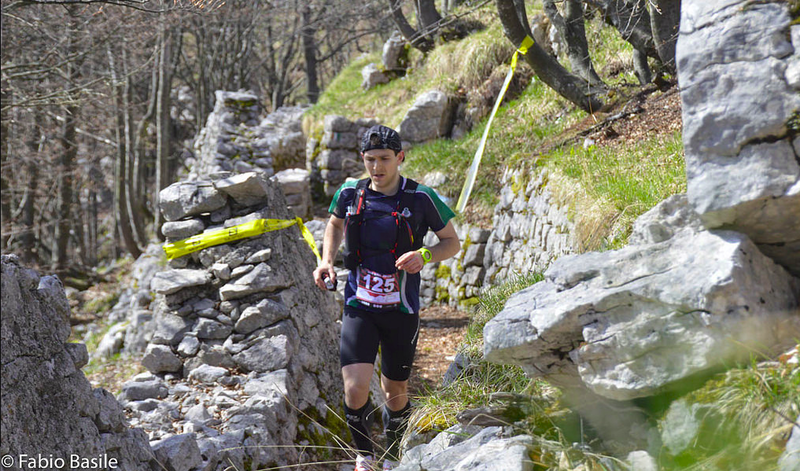 The Salomon Schio Trail seemed to me to fit perfectly, 47km and 2900m positive ascent. Two months prior the race, same distance and uphill. 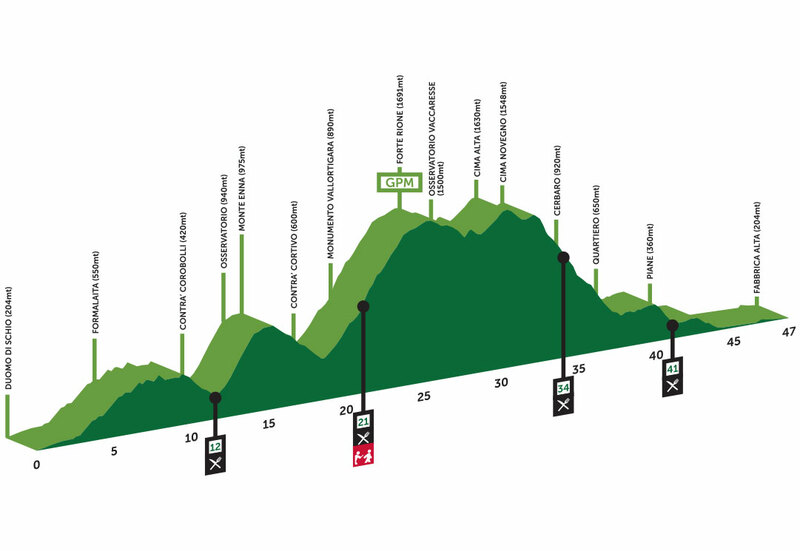 I think that there are no doubts that Finland is not the best place to prepare for a race with almost 3000m of ascent where the longest uphill takes less than 2 minutes and has an elevation of 70m in total. The “bad” winter with no real snow but ice everywhere in the forest didn’t help as well… However I tried to get the best of it! 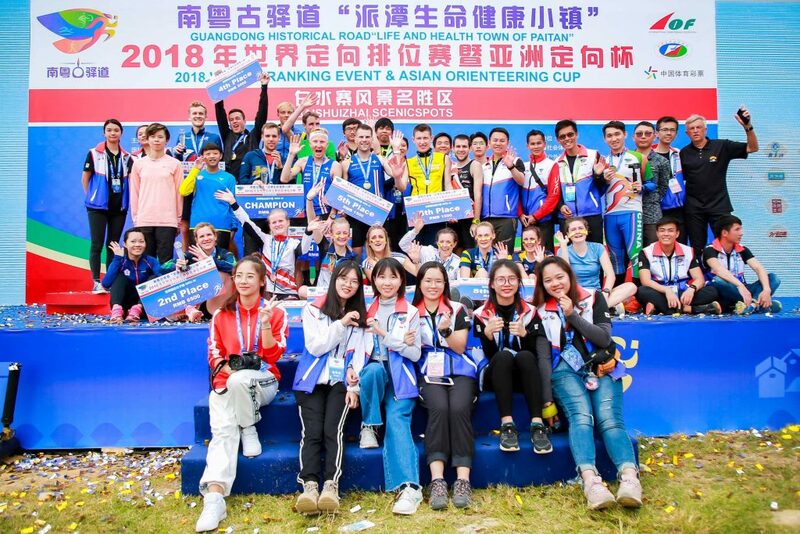 🙂 The leading training idea was to have longer runs than usual and build some body strength. Looking back at it, I could and should have done more… But still I could get through the winter season with mo mayor injuries (which is really important). For what concerns the race preparation itself, I have never been to Schio city before, so I tried with Google maps and the gpx course track to gather as much info on the race as I could. From the race in South Korea in October 2016 I learned that I should drink more, that time on stage 2 of the 100km I had bad cramps and no energy at the end. This time I planned to drink more often and take regularly some food and gels before to run out of energy because, for me when I run out of energy I can drink a bucket of gel and what I will get is only diarrhea (hahaha!) no for sure no energy back. 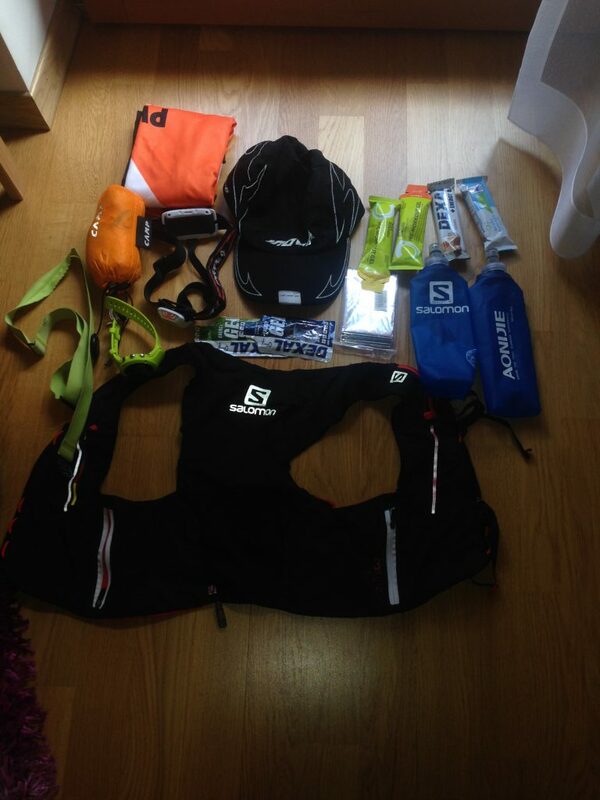 In the pic my material for the race. Compulsory material. I reach Schio on Saturday evening with my support team (Mum and Dad) where we slept in B&B, well… slept is a big word because my Dad was snoring louder than a tractor. Anyway I rested some hours and at 5AM the alarm clock said that it was time to go. I opted of a common breakfast, nothing fancy of hyper caloric, to avoid any stomach issues. And in a blink of an eye the clock showed 7:30 AM and the race started. First part on the city center to then cross some fields and head to the forest. Pretty typical Veneto forest with wide gravel roads on a slight uphill. As I discussed with my brother Riccardo, my race tactic was to take it easy at the beginning, because I knew that on the uphills I was a lot weaker than the others, and then survive till the end! After maybe about 4km couldn’t see the first guys, but I kept on my speed, actually losing ground and positions regularly. After the first refreshment the game changed, somehow everybody started to taking it easy and I gained some positions. We passed over some spectacular panoramic places with amazing view over Schio city. 21km marked the second service point of the race where I tested my apparently clever invention. It was stated that each runner should have an own cup to drink at the refreshment points, but I didn’t have an appropriate one so I took a small plastic bag to fill with whatever drink. A genial idea in my head… the result instead was a total failure! The bag works but when you try to such from it nothing comes up. I decided so to relay on my water bottles for my refreshment. 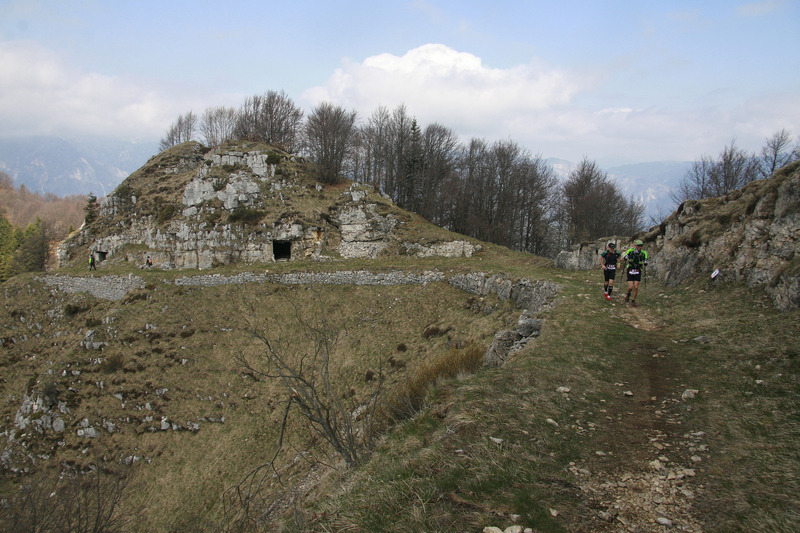 Long and steep uphill to the highest point where slowly I reached Nicola Manessi (currently 2nd) from there on we kept together till the top, inside the various war trenchers, tunnels and ladders. He was a lot stronger than me on the uphills but I tried to keep up with him. At that time I was feeling good but a little tired and I kept telling me “just reach the 30km and then is just downhill”. Finally after one last uphill to Cima Alta we started the downhill to the 3rd refreshment. Steep and technical downhill I really enjoyed it i could run well legs felt strong and reactive. At the service point I had also my support team helping me, before the race I handed to my dad a bag with sunglasses and a can of Redbull in case of very bad feeling I could I get some energy drink to reach the end not not quit, but I felt pretty good physically and mentally so I kept going. 34km and still 13km to the finish, but at the refreshment point one of the organized told me “now is just downhill and enjoyment!” maybe ha has a different opinion of “just downhill and enjoyment” than me but it was tough. Speeding down I fell badly but not big problems at that moment (lately my shoulder and knee would feel some pain but not at that time luckily). 41km and last water station, with drinking cups (Yes!!) and finally to Schio city center. I tired to push more but my legs felt a little weak so I kept a steady speed thorough the roads and parks. 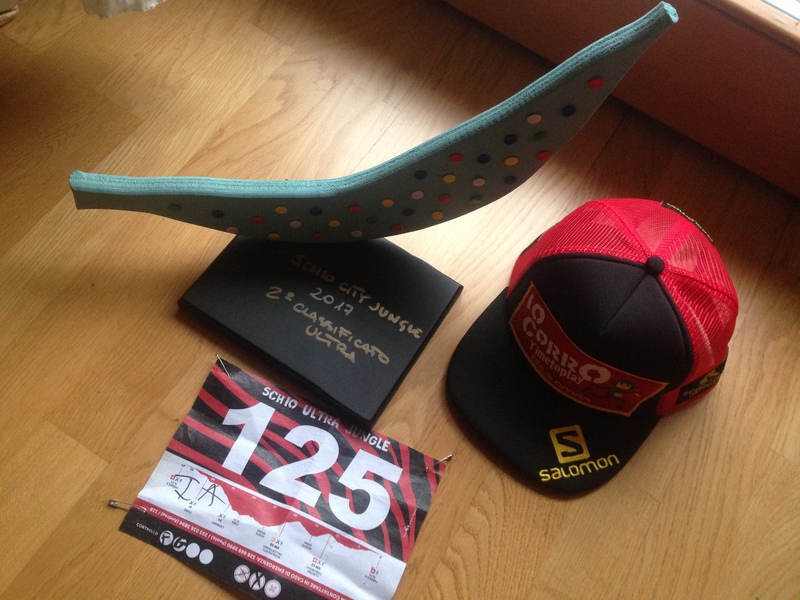 I missed the road twice there and lost some time, I was pretty angry at that time but I knew after wards that the signs from the organizes were trashed by somebody… Last climb on a long stair to Schio’s castle and the finish line. My finish time was 5 hours and 29 minutes and 2nd position. Results here!